Your privacy is the most important thing and we understand that being totally discreet on all packaging and billing is absolutely vital. 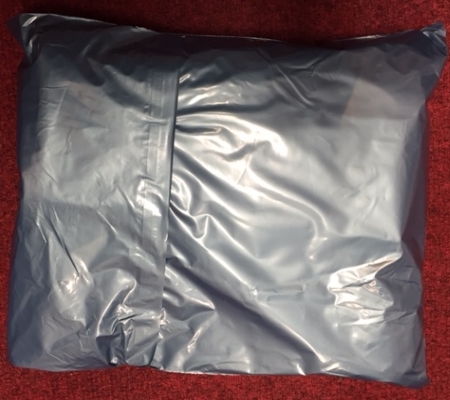 Well you can shop at PlayBlue in total confidence at the packaging we use is totally secure and discreet. We double pack all orders to be extra sure. First we pack your order in a sealed bubble envelope. Then seal this inside a waterproof plastic mailer. What is written on the outside? The outside will only have a printed address label like the sample one shown. There is no indication of contents or who is sending the parcel. 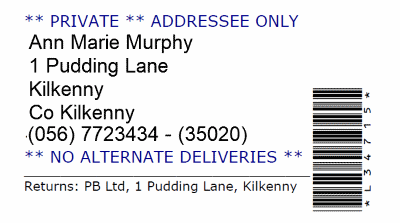 You can see even our return address is redacted to PB Ltd to guaranteed discretion. 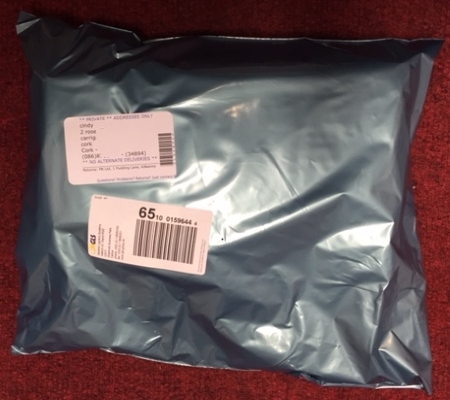 Your parcel may also have a generic courier sticker too depending on the shipping service used. What will be on the credit card or bank statement have? Your credit or debit statement will show the charge as PB Ltd. If using PayPal the payment will show as PAYPAL *PB Ltd.
What will the parcel look like? This is the front of the parcel with only the discreet shipping address label and the generic courier label. This is the back, the outer packaging is a strong plastic weatherproof mailer and the internal is packed in a protective bubble envelope to ensure security and discretion. Very large orders will be shipped in plain brown boxes. Still unsure? Watch us pack a sample order.